Willow Flycatchers arrive later than most other migrants, usually at the end of May. They're coming from South America, a long way to fly for a bird that weighs less than half an ounce. A male Willow Flycatcher aggressively defends its territory against other males and soon attracts a mate. Their compact nest is usually low in a willow or rose or low shrub. 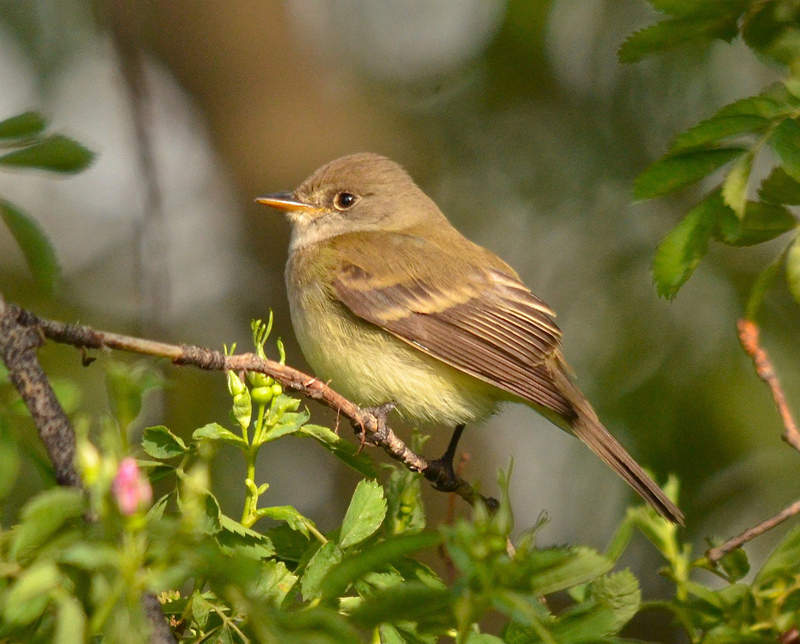 To find a Willow Flycatcher, listen for its sneeze - "Fitzbew!" Today’s show brought to you by Forterra – saving the places that are keystones of a sustainable future in the Pacific Northwest. In June, territorial males sang almost nonstop [“fitz-bew”] and with a little less gusto in July. Before long, their sneezy songs will fall silent. By late August, with their young fledged and out on their own, Willow Flycatchers begin a long migration, to winter in southern Central America. Some will travel 4,000 miles to reach southern Panama — quite a trek for a bird weighing less than half an ounce. 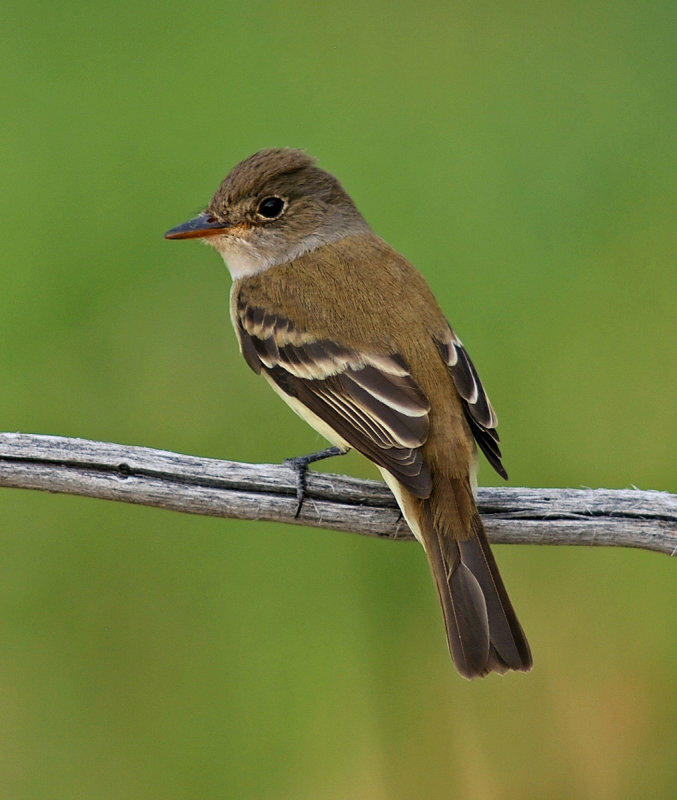 The Southwestern Willow Flycatcher was listed as endangered in 1995. [Southwestern Willow Flycatcher] It’s just one of 300 bird species that can benefit each time Congress votes to continue funding the Endangered Species Act. Learn more at BirdNote.org. Today’s show brought to you by Forterra - saving the places that are keystones of a sustainable future in the Pacific Northwest. Song of the Willow Flycatcher provided by The Macaulay Library at the Cornell Lab of Ornithology, Ithaca, New York. Recorded by 120435 Aug by G.A. Keller. Song of the Southwestern Willow Flycatcher recorded 8118 by R.C. Stein. Ambient WIFL recorded by C. Peterson WWA June 06 G9T3 and Robinson Creek.